Our host for this month’s challenge is Rosa of Rosa’s Yummy Yums. 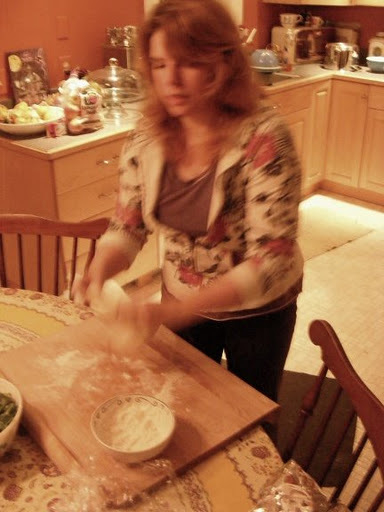 In honor of Sher, who was to be her co-host for this month, Rosa went with Sher’s challenge idea: Peter Reinhart’s basic pizza dough. The pizza was FANTASTIC. I mean, really absolutely wonderful. The dough way a breeze to work with — tossing it in the air, a DB challenge requirement, less so — and baked up fabulously crisp yet chewy, just like NY-style pizza should be. 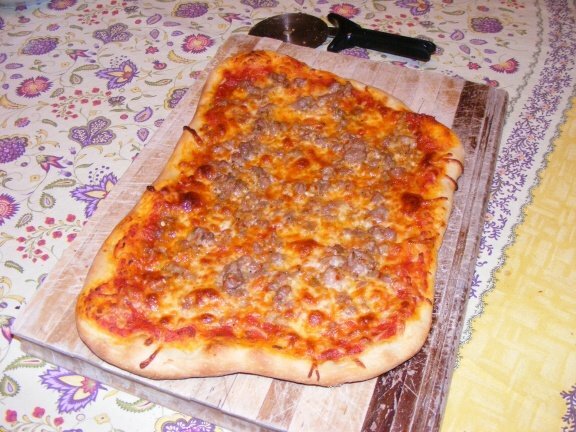 We made four types of pizza: one pesto, one pesto with spicy Italian sausage, one “regular”, and one regular with sausage. All delicious, but by far the best was the regular with sausage. We ate (Sadie included) until we were stuffed. And then we ate birthday cake. Thank you Rosa, and thank you Sher, for sharing this wonderful recipe with the DBers. It was a wonderfully fun challenge! In case you would be having trouble tossing the dough or if the dough never wants to expand and always springs back, let it rest for approximately 5-20 minutes in order for the gluten to relax fully,then try again. 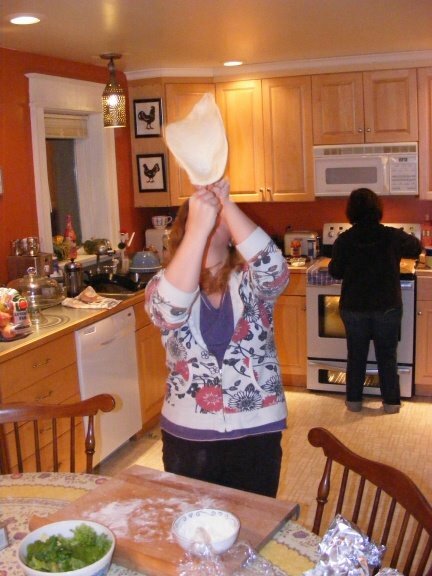 You can also resort to using a rolling pin, although it isn’t as effective as the toss method.